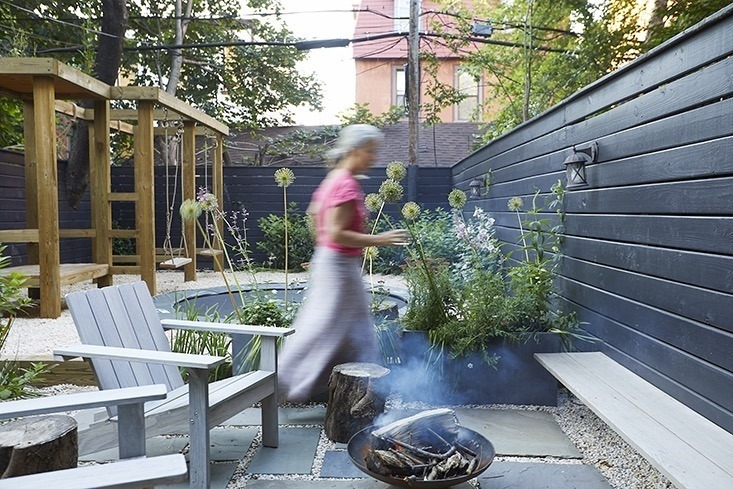 The transformation of a dark backyard into a space filled with light, flowers, and play for the owners and their children, in just under 900 square feet. Click here to see the article. 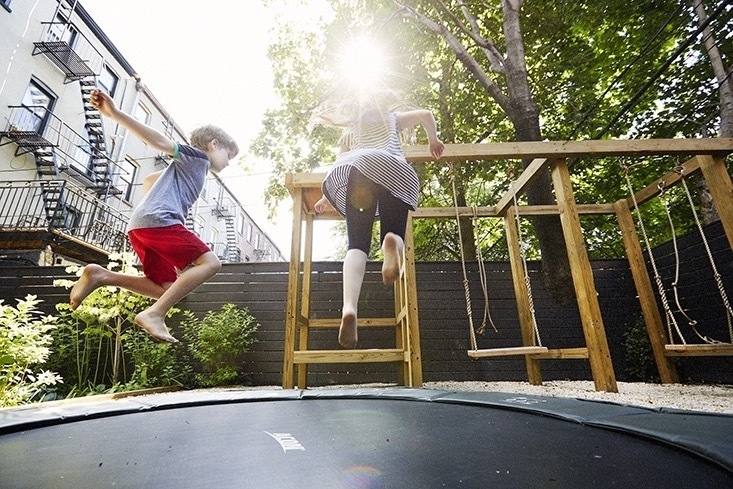 An in-ground trampoline plus a custom play structure which allows for swings, climbing, pretend play, and a ladder to get to the green roof above the cabin creates a beautiful adventure space for the children. Photo by Shannon Greer. 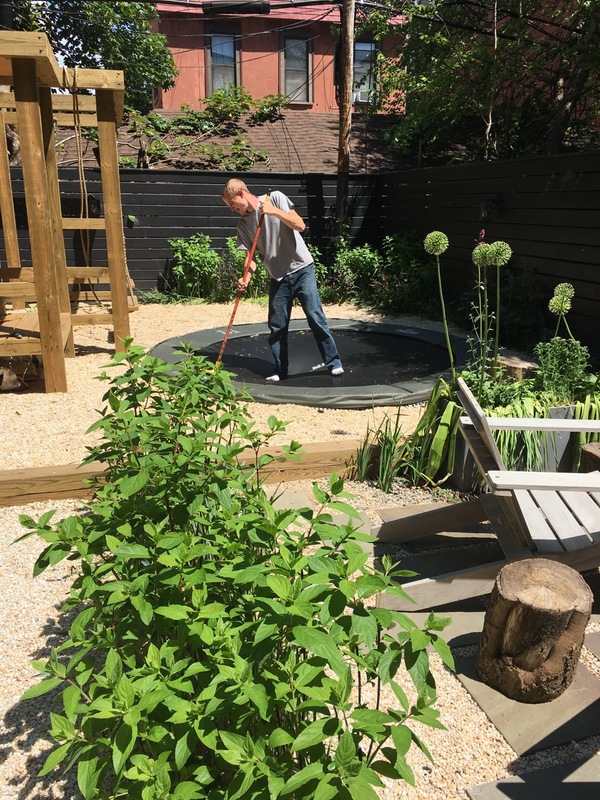 Cleaning up the finished product!